Layer cookie sheet with two large pieces of aluminum. You will wrap the ribs in this later. Season both sides of ribs with steak seasoning. Lather ½ cup BBQ sauce on both sides until ribs are covered. 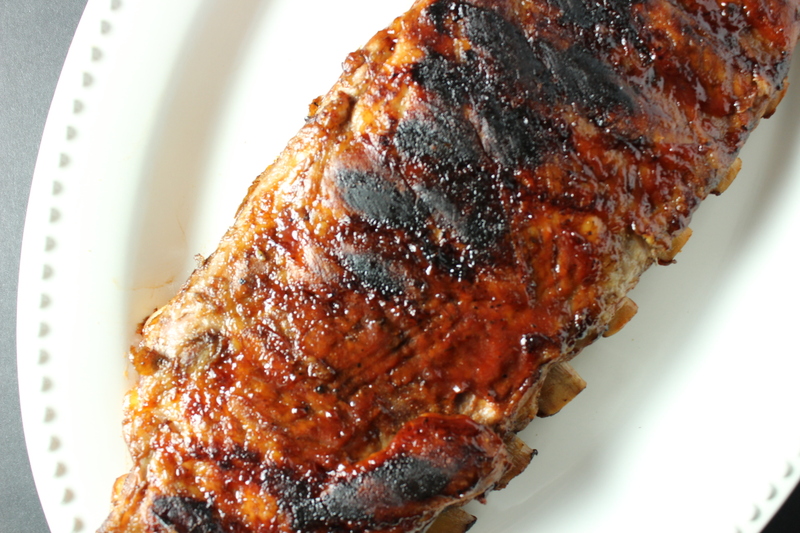 Wrap the ribs with aluminum foil and bake for two hours. Remove from oven and carefully remove aluminum foil.